A smile is one of the simplest gestures that we can make, but it can also be one of the biggest. A great smile is considered a reflection of friendliness, honesty, happiness, and health. It can be beneficial in social situations, help attract a partner and also make you more confident and outgoing. Many studies show that people who are happy with their smile have more success in both their professional and personal lives. Many people who lack confidence in their smile because of broken, damaged, misshapen or unattractive teeth choose to have dental implants. Dental implants are actually replacements for the root section of the tooth and are screwed into the bone where they fuse, securing a sturdy framework for the crown. Created from titanium, they are both extremely light and durable, and if cared for properly, could last a lifetime. Where previously dental implants would require multiple visits to your dentist’s office, thanks to technological developments in the field, it is now possible to give your smile a makeover and receive dental implants in just one visit. 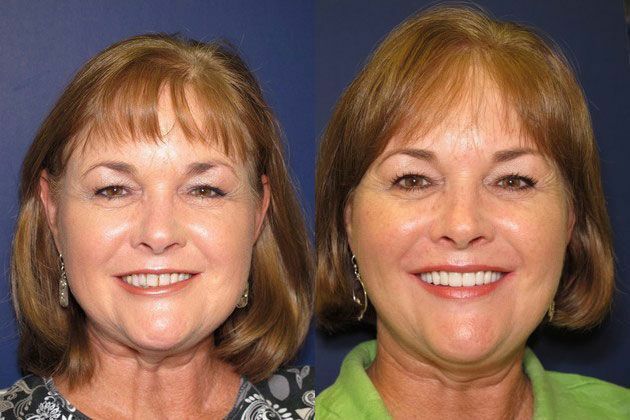 What are the benefits of receiving a same day smile? How can such extensive work be carried out in just one day? It really is possible to create a brand new smile in less than a day, thanks to amazing new technology in the field of dentistry. When you arrive in your dentist’s office you will have images taken of your current teeth. This is done using a special wand with a camera on, that takes pictures inside your mouth, meaning there is no need for the awkward and uncomfortable putty to take impressions. Together with your dentist, you can then design your perfect smile. While you wait, your unique teeth are milled on site. All the preparation work is carried out, which involves titanium rods being custom-fitted to your jaw and set an angle. The freshly-milled, porcelain teeth can then be fitted to the implants, and you can walk out of the office with a permanent and beautiful smile in place. You will usually be asked to return to your dentist’s office a number of weeks later, but don’t panic, there is no more surgery involved. This visit is just a post-implant check-up to ensure that everything with your new smile is fine and that no minor modifications need to be made to accommodate healing changes in your mouth. It is important that you attend this appointment to stop any potential problems developing in the future. Is there anything special I need to do in terms of aftercare? After your new smile has been put into place, your mouth will require some time to heal. This means that it may be swollen and sore for a few days. Over-the-counter pain relief and NSAIDs should help with any swelling, but you should avoid any hard or chewy foods until your post-implant check-up visit. Over time, you will be able to reintroduce regular foods. As always, you should continue with a thorough oral care routine as this will help to ensure the longevity of your new smile. The exact cost will vary depending on your individual dental requirements, and as such it is best to get an estimation from your dentist at the time of your consultation. Most dentists accept a range of payment methods including dental insurance, but you will need to check with your policy provider to see if your treatment is covered. Even if only part of the cost will be covered by your insurance, it may be possible to work with a third party provider to finance the remainder for your treatment. If your treatment is not covered by your dental insurance at all, your dentist will be able to recommend a reputable and affordable lending program to help you finance your new smile.